Customized communication solutions for business that leverages today’s best technologies. Using a combination of advanced telephony products along with other IP-enabled applications, Panasonic provides richer, fully-capable communication solutions for your business today. 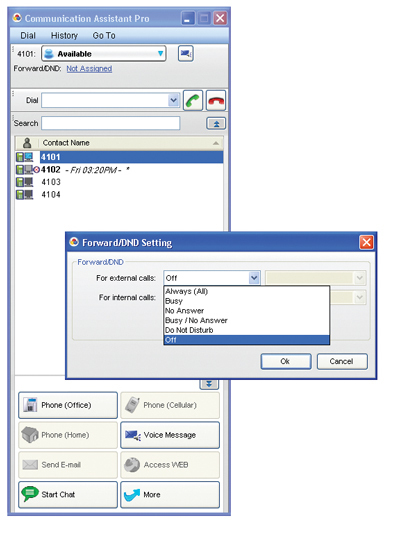 In addition you can access presence information on other Panasonic PBXs and initiate chat or make and transfer calls across the network (server version required). Communication is key to running a successful business, whether you are small or large. Communication bottle-necks can seriously affect customer service, damage client relationships and lower productivity.